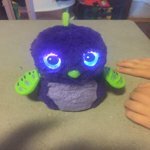 Hatchimals are interactive magical creatures inside eggs! Who's inside? It's a surprise! Care for them, and with your love, they will hatch themselves with your help. This little egg is the smartest little toy that just keeps on developing every time you play with it. My nine year old loves to play with her little friend all the time. When she teaches the little creature a new phase to say and later on hears it she is delighted. She wants more little creatures. Hours of fun. I bought this as a birthday gift for my granddaughter and have not given it to her yet (since her bday is not til November) but I know she is going to be so excited and love it cause she watches all the YouTube videos about it and says she wants one everyday. This is definitely worth the money! From hatching to helping it grow it keeps kids and adults entertained!! So much fun to watch it hatch. I have to admit, I was pretty excited about it along with my 6 yr old. It was the last Hatchimal in central Florida and Walmart accepted the order very quickly and held it until I could pick it up. Thanks Walmart! Haven't opened it yet because it's for Christmas. But really excited I got it before they sold out. We stood in line for HOURS on Thanksgiving Day to get a Hatchimal. My daughter didn't specify which one she wanted but we were thrilled we got the Burtle. Our Christmas Elf always brings one toy early and we decided it would be the Hatchimal. So she got to open this the day after Thanksgiving. I'm glad we did because it didn't work! We babied the Hatchimal all day and it never would peck out of the egg. We told our daughter that the egg must have been built incorrectly by the elves. I called Spin Master and after an hour or so on the phone, they decided it was in fact defective. They processed the case and sent us a new one. However, the replacement had to be either a Pengula or a Draggle as that was all they had in their warehouse. The replacement came about 3 weeks later and worked great. Luckily it was just before Christmas and the elf was able to bring the replacement. I'm glad we did this early because it sounds like the call time has increased a ton since then. But if you get one that works correctly the kids really enjoy it. I'll admit the most exciting time was the hatching process, but my daughter also enjoys teaching her Pengula and still plays with it out of the egg even after a week. 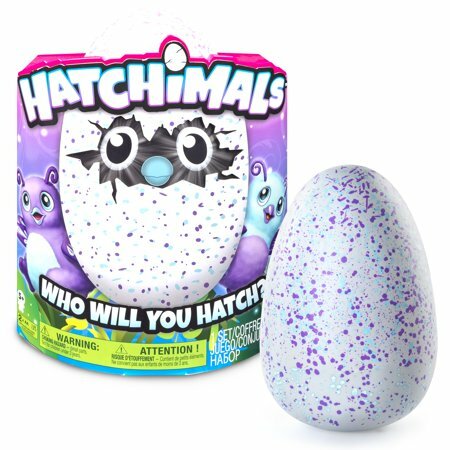 The hatchimal wouldn't hatch from it's egg, wouldn't do anything. We cracked the egg open and got it out. Had to put new batteries into it, then beat on it and finally it turned on. However the biggest part of the fun for a kid is the hatching which didn't happen.